The following article is a rehash of this post by /u/Scutilla. All credit goes to him. 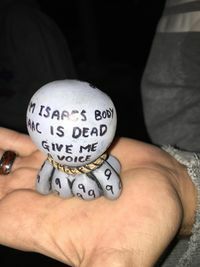 The Afterbirth ARG started with the release of the Afterbirth DLC for The Binding of Isaac: Rebirth. 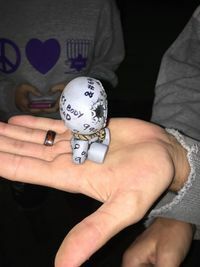 It contained many biblical allusions, mysterious ciphers, and several expeditions to the real world. The ARG ultimately led to the discovery of a new playable character: The Keeper. 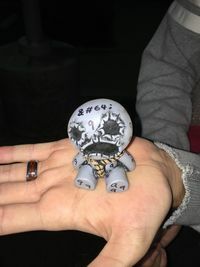 When The Binding of Isaac: Rebirth was released in November 2014, a super-secret character called The Lost was included, with a complex unlocking mechanism that was designed to be a community scavenger hunt - an ARG of its own. However, dataminers quickly discovered his existence by looking at the game code and The Lost became common knowledge in a few days, much to the disappointment of the game creators. With the release of the Afterbirth expansion in October 2015, there was a new secret, but this one was not so easily datamined. The final reward (The Keeper) was not patched into the game until the community solved the puzzle, and many puzzle elements were not in the game at all, requiring Twitter, voice mail, and even two real-world expeditions to solve. The new game mode in the Afterbirth expansion, Greed Mode, is a seven-floor challenge with a boss fight against Ultra Greed at the end. On each floor, facing waves of enemies rewards the player with money, which can be used to buy upgrades. When Ultra Greed is defeated, a donation machine appears. Like the shop donation machine from Rebirth, reaching donation milestones unlocks new items and game features for future runs. However, this donation machine "broke" at 109 coins donated, rather than the expected 999. This was fixed several days after release, allowing the machine to store beyond 109 coins. A new achievement, Generosity, was added for reaching the new cap, 999 coins. 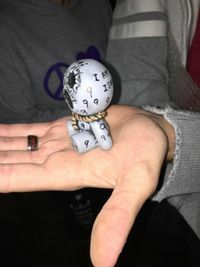 The community continued to obsess over the number 109, with such theories as "the Greed machine was fixed 109 hours after release", "the Lost character was datamined only 109 hours after Rebirth's release", and "the item Money = Power is item number 109 in the game code". The number 109 also popped up in various places in messages from Tyrone and Ed. During this time there were several other mysterious clues in the game, including graphical anomalies when the Quarter, the Dollar, and Money = Power were hovered over in the Item Collection. Most notably, Money = Power displays the message "where are you". Once enough people achieved Generosity somewhere around November 12, the Steam achievement icon was updated to display a piece of paper with black lines and dots on it. Taking the number of pixels in each line (with a double space meaning 0), the image translates to the number series 108 69 82 66 101 73 76. That series when converted to ASCII code becomes lERBeIL, which led to the imgur URL http://imgur.com/lERBeIL. The image is sized 109x109 pixels, with a picture of the secret character The Lost, eight human figures, a map icon, and a quote from Genesis 30:35. Combined with some cryptic hints from Ed McMillen's Twitter, the community figured out that it was supposed to be a reference to the movie "The Lost Boys", and the next clue was out in the real world, on the Santa Cruz boardwalk. Ed and Tyrone continued to drop hints via their Twitter feeds throughout the ARG. 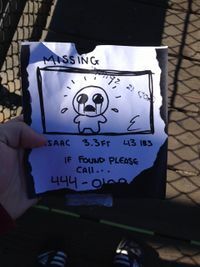 /u/Nirvanaguy007's brother went to the hinted location on November 13 and found a missing poster resembling the one from in the game. At the bottom is a seven-digit phone number with the last three digits torn off. On the back is written "GOD IS SPIRIT", a reference to John 4:24. The torn-off numbers are deduced to be 109, the number the community had been obsessing over. "Hello [??? ], I am your [???]. I know what you came for, but I need to hear you ask me." The [???] portions, when reversed, become "Isaac" and "father". Reddit users began leaving messages on the number, trying to guess what they needed to ask - the correct question was probably "Where are you? ", from the Money = Power hint in Part 1. At this point PC Gamer published an article summarizing the ARG thus far. When PC Gamer asked Ed McMillen for comments he replied "bring a shovel!". "Christ calls, generous gods don't guide history forever. [??????] (whispered) We need to go deeper." These are GPS coordinates (the longitude is negative because that part of the message is reversed). They lead to a building in Santa Ana with building number 109. The developers continued to drop Twitter hints about digging and looking for loose change, but warned people not to do anything stupid or illegal. Using the writing on the statue (with &#64 being ASCII for "@"), a Twitter page for Greed was found. The twitter address is @iamisaacsbody and the password was isaacisdead (it has since been changed). After the community "gave him a voice" as hinted on the statue by posting on the Twitter account, the developers uploaded an "achievement unlocked" image saying "The community unlocked... something hidden!" The game was then updated, adding new character The Keeper. The Keeper is unlocked by donating 1000 coins to the Greed donation machine, causing it to explode. He starts with Triple Shot, and uses coins for life instead of hearts. His existence was foreshadowed by the cutscene that plays when Greed Mode is beaten - Isaac is buried underground, and his corpse becomes the shopkeeper/Greed.